Watching the first Presidential debate Wednesday, we saw revealing body language cues from two men who clearly disagree with each other on multiple levels. Neither man could do little to contain their unconscious emotional responses – from Romney’s forced smile to Obama’s refusal to make sustained eye contact. If there are any doubters, that we see and feel shapes the reality of the event more than what we hear, those performances showed body language to be a game-changer. As such, there will be more focus on the VP debates than normal. With the added focus, what should we expect to see from Ryan and Biden’s nonverbal cues? We should expect to see a Biden ready to command attention reminiscent of an old-time preacher. But is a fiery what we will relate to? For Ryan to match with equal persuasion, he must encapsulate his facts and figures into a compelling strategic vision, to counteract an argument that evokes strong emotion. On Thursday, we should see a Biden continue to strategically use the soft voice to emphasize specific key differences. Used by old-time preachers, the soft voice is effective in getting a listener’s attention at just the right moment. His secret — usually a humorous sound bite — is great for speaking directly to the camera and your unconscious mind. He will lean forward to add emphasis to those moments he wants remembered. Biden understands how to use eye contact to connect with a large audience. He moves his head back and forth across the room consistently using large, expansive gestures. This can make an audience feel connected. Unfortunately, Biden moves his head from side to side too fast. This leaves the individual feeling like he or she has been scanned instead of connected with. Will we feel scanned or connected? 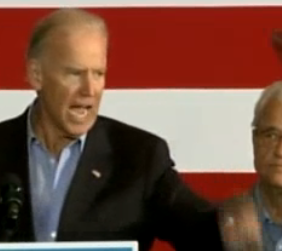 Biden loves to hold a lectern. At times, he holds so long that his knuckles turn white. A firm grip on a prop sends a message of needing something to cling to. Will the audience feel anxiety? 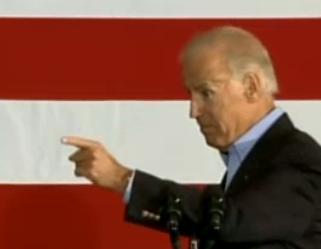 Biden’s favorite hand gesture is the one-finger point. It can be read as scolding. His fondness for this gesture is one reason why Biden is often said to be lecturing. The finger- point (and Ryan’s favorite the pinch gesture) say, “You need to understand.” Biden thrusts forward his gestures to add emphasis. The more a gesture is thrust forward, the more it is perceived as belittling. Will we feel scolded or informed with all the pointing and pinching? Finally, Biden needs to be aware of how much he touches or scratches his face and head, especially the side of his nose. To be nice, it is read as being uncomfortable on one side of the scale to a sign of deceit on the other. Gosh, do you thinking he’s hiding? Too much face touching like his recent body language, says he is…. An equally gifted storyteller, Ryan prefers to tell stories in an “I’m-just-like-you” style that reinforces the perception of likeability. If someone is too much like us, they run the risk of not being seen as a leader. 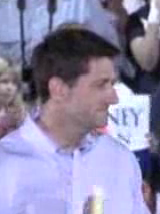 Ryan, this data dude, needs to sway us with a compelling vision, but his body language says, “I’m just like you”. We might like guys like us, but do we elect them? However, it’s in the difference of the intensity of the expressions and gestures that send entirely different unconscious messages. 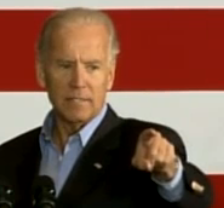 Biden prefers pointing and his second favorite is the finger-pinch gesture with a thrust forward motion. Ryan has a strong preference for the finger-pinch gesture, using it frequently with an up and down chopping motion. Will we, the viewer feel lectured instead of informed? Ryan adds a forward head lean to emphasis his finger-pinch gesture. 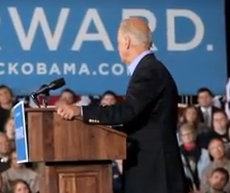 A head lean is seen as less intrusive than Biden’s full body lean or forward hand thrust. 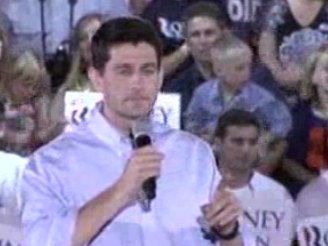 Ryan’s non-verbals are controlled and less aggressive than Biden’s. Will Ryan’s less flamboyant style of delivery resonant? Aggressive body language can be read as a leader, not always a good leader, but leader, nonetheless. Ryan needs to use more intense gestures that say “leader” and take care that he is not perceived to be too much like us. 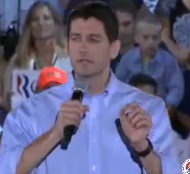 Ryan is the master of the silent pause, expect he needs to stop doing that little, “Hhm” at the end of key phrases. He strategically uses the pause to add impact to his message. To add extra emphasis, to the pause, Ryan pauses his body movement as well. Freezing his body and gestures, except for small nods of agreement (and that annoying “Hhm”) with his own message effectively gets his point across without being seen as pompous, assertive or aggressive. He couples the nod with a knowing smile and individualized eye contact to build trust, safety and rapport. 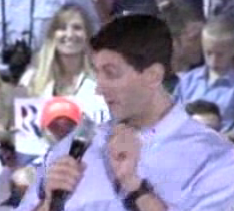 It’s during Ryan’s pause that the audience feels he understands them. 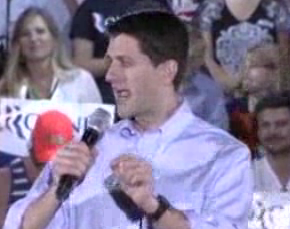 Ryan’s favored hand position when not gesturing is to have his first and middle finger tucked into his waistband. When doing so, the placement appears to be a hand on hip. Technically, it isn’t, although they share a similar meaning. Both make a person look bigger. Thumbs tucked in the waistband say, “I am staking my territory,” which is a gesture of power, not influence. A less aggressive form of two fingers in the waistband is Ryan’s baseline behavior. Both Ryan and Biden have strongly held beliefs and conviction in their message. Ryan favors discussing data and his wrinkled forehead indicates he is concentrating heavily on what he is saying. Like Biden’s whispered one-liners, data catches the attention of the listener’s unconscious mind. Although,Ryan should watch his habit of wrinkling his forehead, it diminishes the emotional impact we have with that message. Capturing the attention of the unconscious mind is where the non-verbal and verbal difference in style will create an interesting contrast in the emotions evoked in the audience. It’s in those emotions that the viewer thinks they are making rational decisions. Which style will the audience relate to? p.s. We must also be aware of the part the generational difference will play in how we feel during the debate. I don’t expect it to, as both are professionals, but it will be something interesting to watch for.